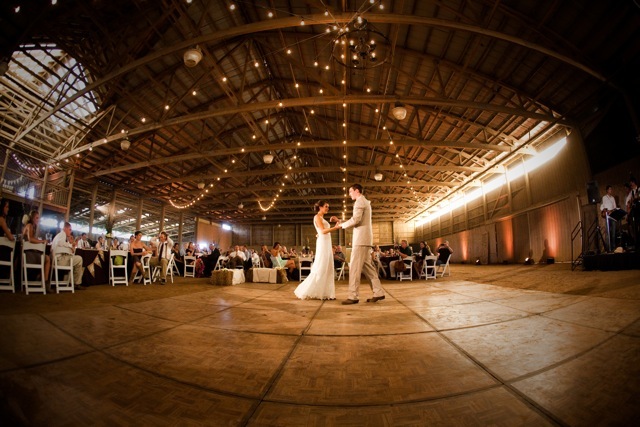 I must admit that when I first got the call from Lindsey’s mother telling me that her daughter’s wedding reception was to take place on a horse farm in Williamsburg, Virginia I was absolutely over the moon excited! 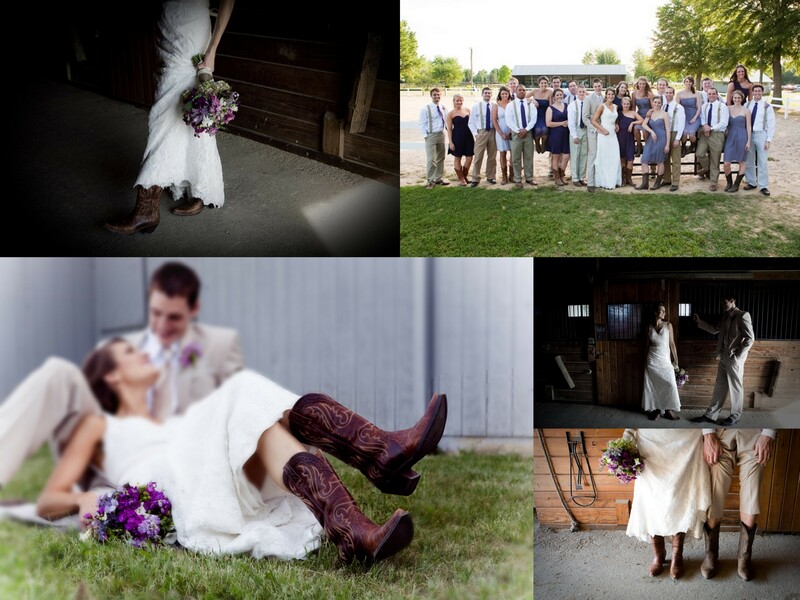 My excitement only grew when I met Lindsey and learned of her love for the color purple, burlap, lace, and cowboy boots! I knew that this was going to be a really fun wedding to be a part of! During the cocktail hour the guests were given individual mason jars to fill with their favorite beverage throughout the night and take home with them following the event. The jars were each painted with a smudge of chalkboard paint for the guests to write their names on to avoid any accidental swiping. Such a great idea! 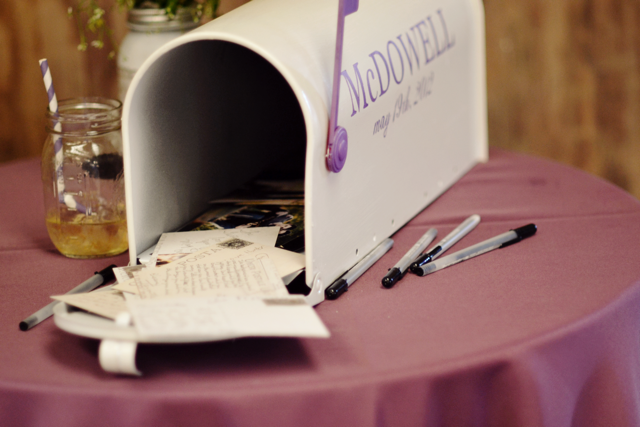 Lindsey and Quinn opted for a nontraditional guest book, and instead had their engagement photos made into postcards for their guests to sign and place in a mailbox painted with the newlyweds’ last name. 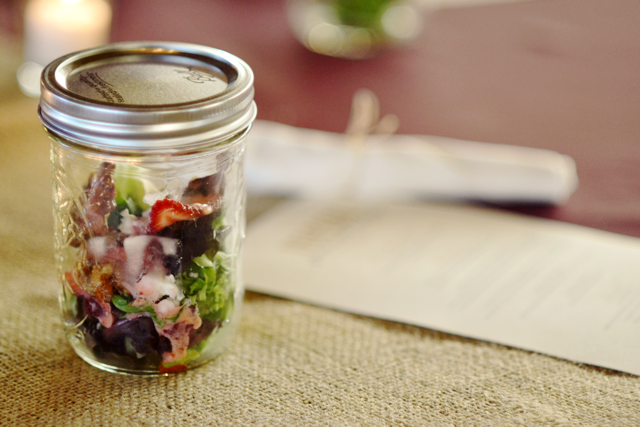 Lindsey’s love of mason jars and good southern cooking meant that Sweetwater Cuisine was the perfect fit for her vision! 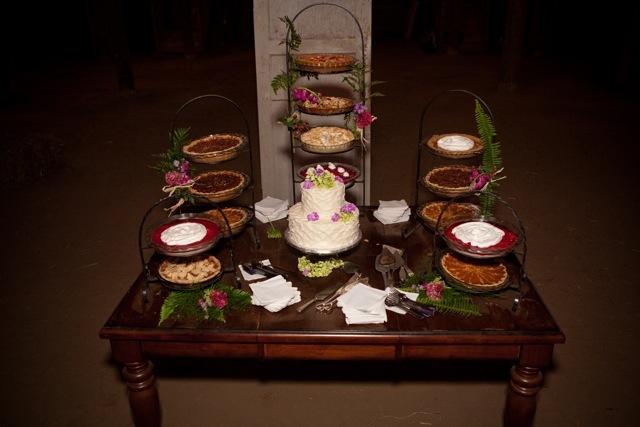 The guests were served a delicious strawberry summer salad in mason jars, and following their meal they were treated to an assortment of homemade pies. 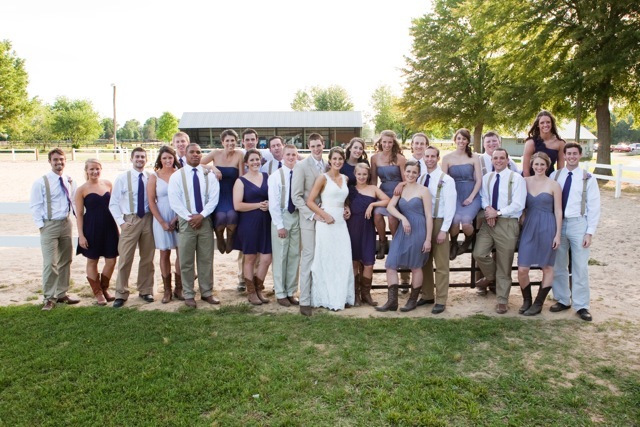 Larger bridal parties can typically be a little harder to coordinate just due to size alone. 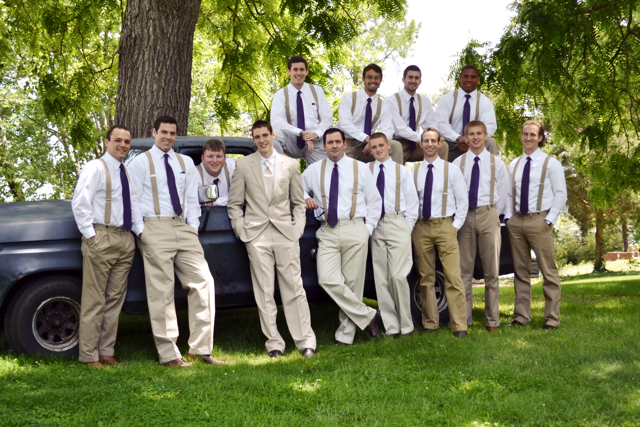 This bridal party was a breeze though, and the most remarkable thing about them was that they were able to coordinate (on their own) a choreographed surprise dance for the bride and groom! 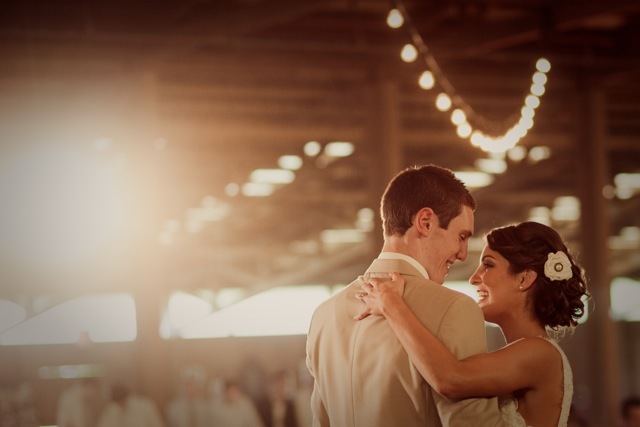 Upon being announced into the reception the newlyweds were anticipating going right into their first dance. Surprisingly though, immediately after they were announced and made their way to the dance floor everyone in the room was frozen, including the band, photographer, bridal party, guests, and the serving staff! 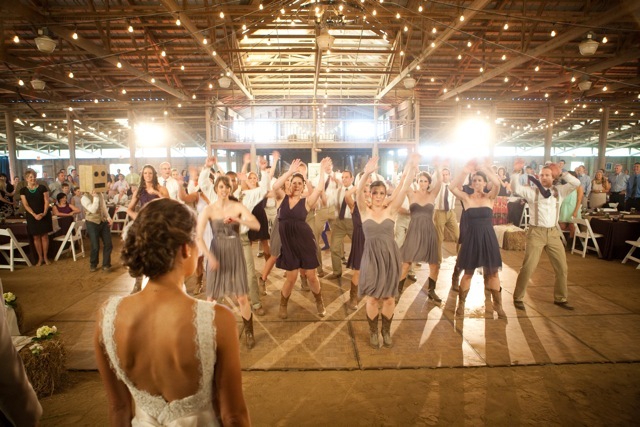 After a few moments the bridal party broke out into their choreographed dance in honor of the couple, and the bride’s brothers even preformed a fun parody in song for them. It was not only hilarious, but so touching to see how much their siblings and closest friends cared about them to go to such great lengths to plan everything! Guests also enjoyed the band Bellevue Rhythmnaires and the ever popular Boardwalk Photobooth. Some other members of Lindsey’s wedding team included Carrot Tree Kitchens, Williamsburg Event Rentals, Events in Bloom, Photographer Halee Curtis, and Blue Steel Lighting. 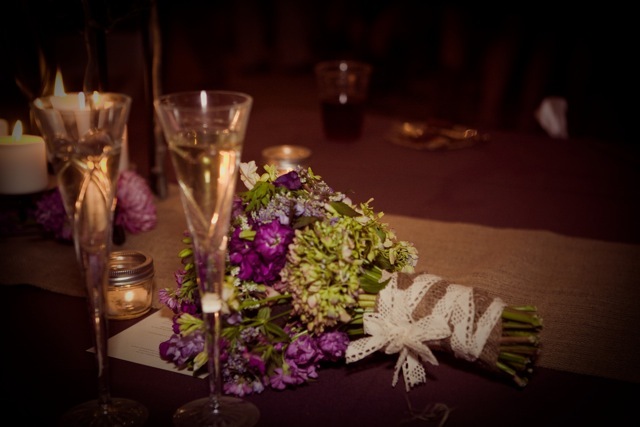 I had so much fun with the planning and execution of this event that I wish I could do it all over again! Lindsey and Quinn, I wish you all the best! Thank you for allowing As You Wish to play a part in your wedding day!